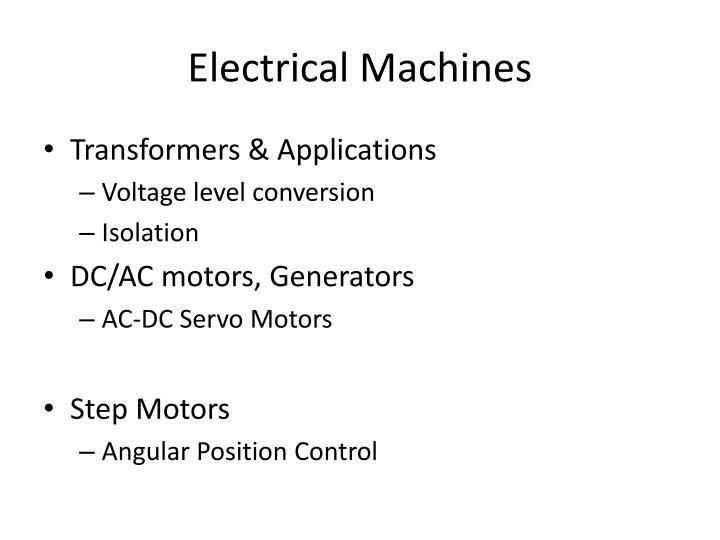 Electricity generation is the process of generating electrical power from other sources of primary energy. 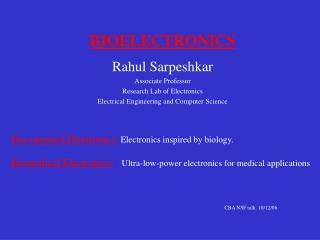 Electromag. 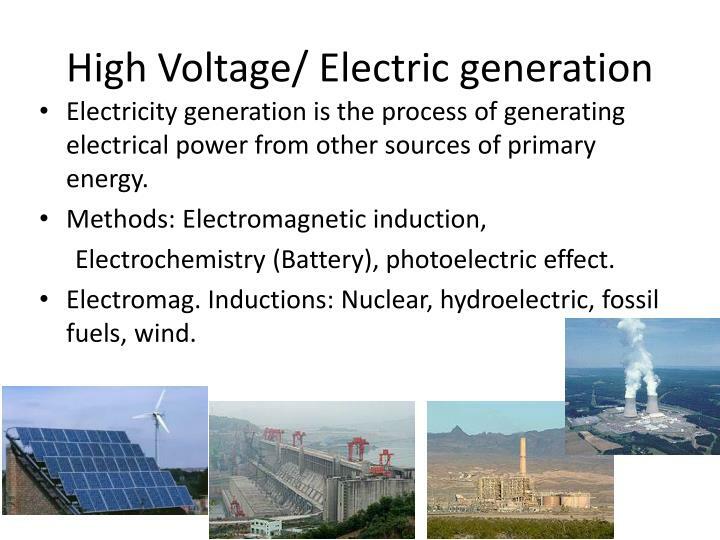 Inductions: Nuclear, hydroelectric, fossil fuels, wind. 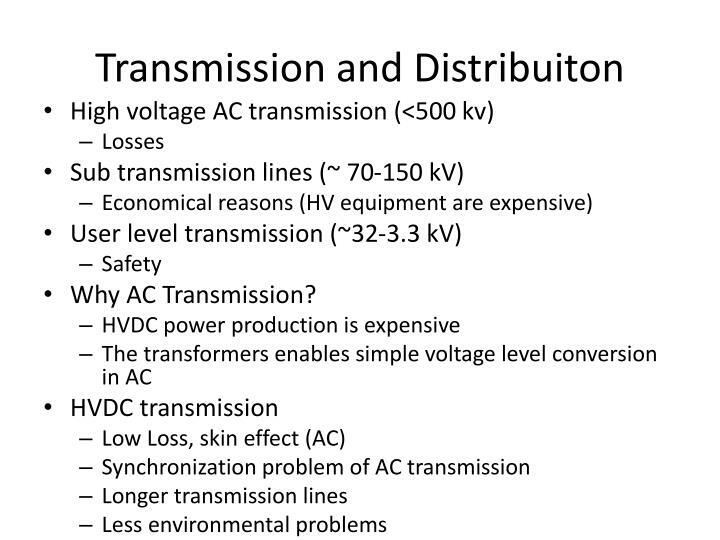 Turbines: All turbines are driven by a fluid acting as an intermediate energy carrier. 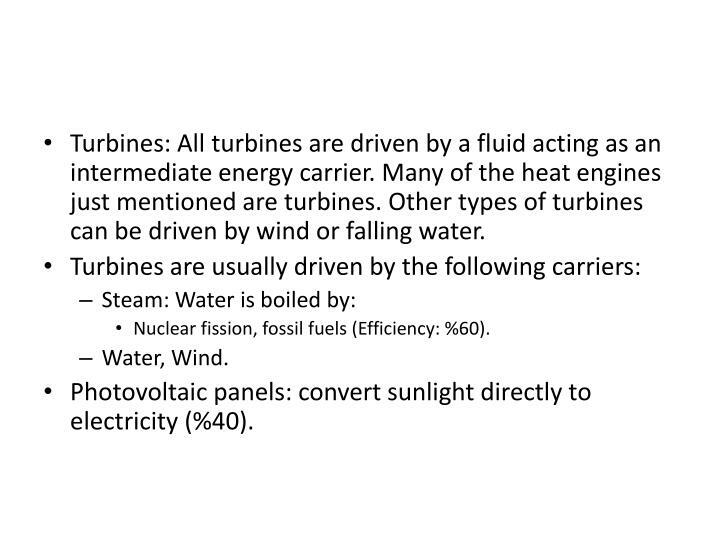 Many of the heat engines just mentioned are turbines. 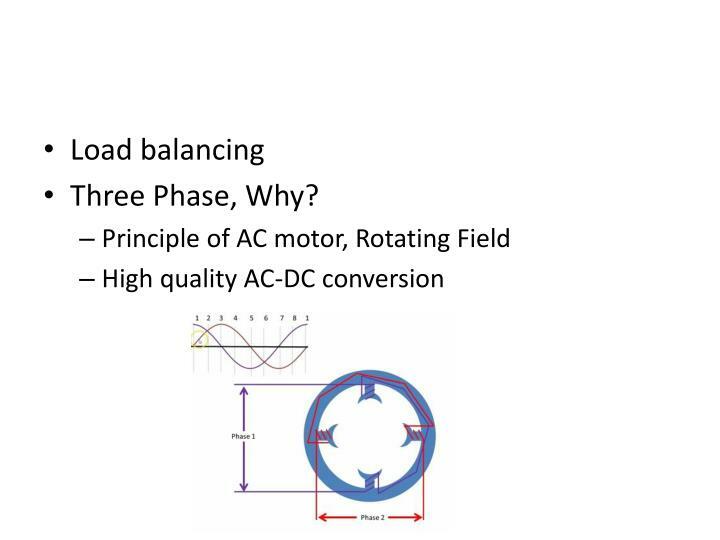 Other types of turbines can be driven by wind or falling water. 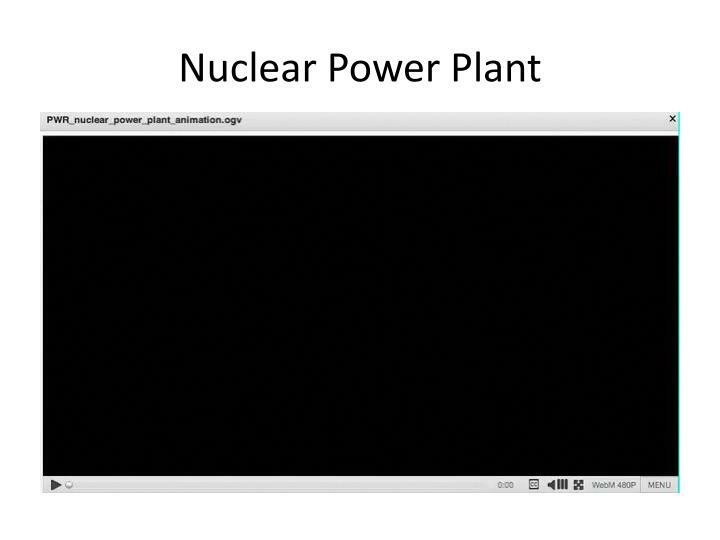 Nuclear fission, fossil fuels (Efficiency: %60). 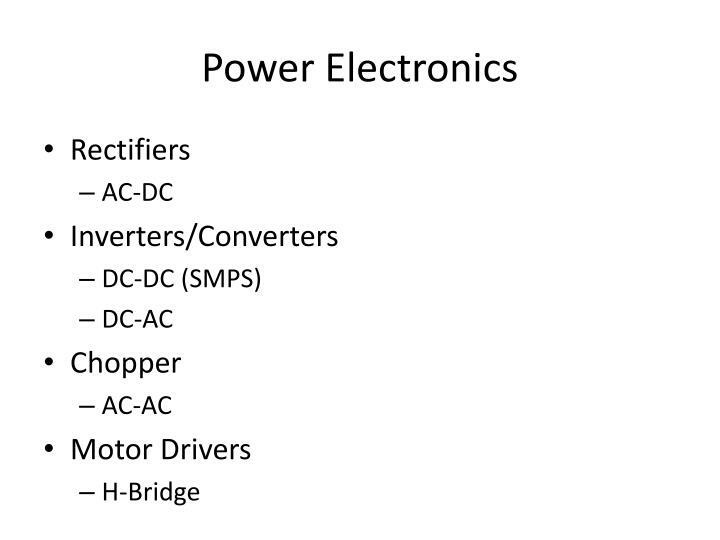 Photovoltaic panels: convert sunlight directly to electricity (%40). 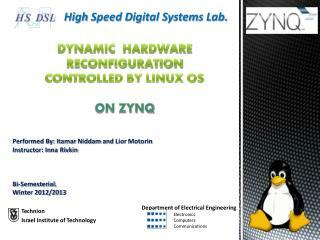 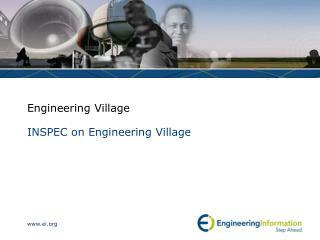 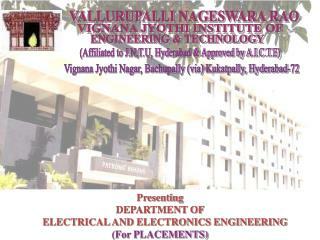 Presenting DEPARTMENT OF ELECTRICAL AND ELECTRONICS ENGINEERING (For PLACEMENTS) -Vallurupalli nageswara rao. 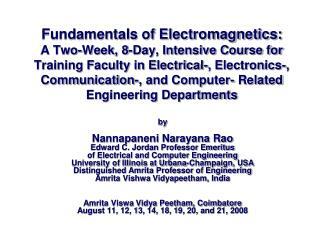 vignana jyothi institute of. 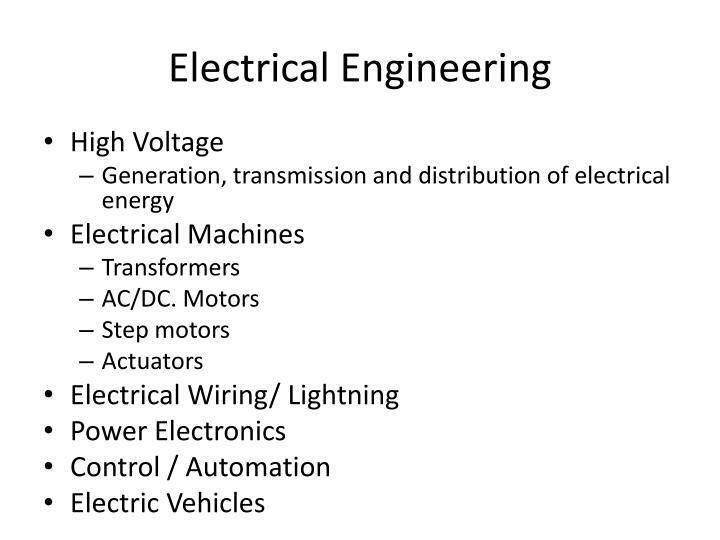 engineering &amp; technology. 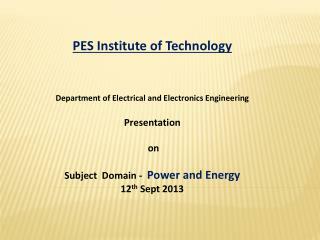 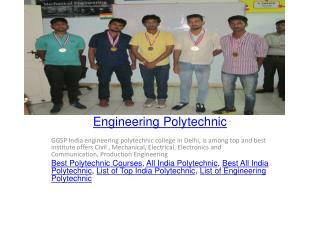 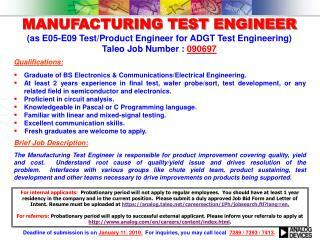 (affiliated to j.n.t.u, hyderabad &amp; approved by a.i.c.t.e). 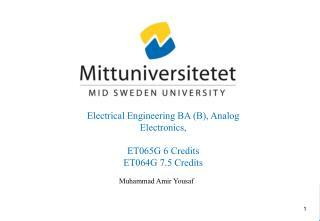 Electrical Engineering BA (B), Analog Electronics, ET065G 6 Credits ET064G 7.5 Credits -Electrical engineering ba (b), analog electronics, et065g 6 credits et064g 7.5 credits. 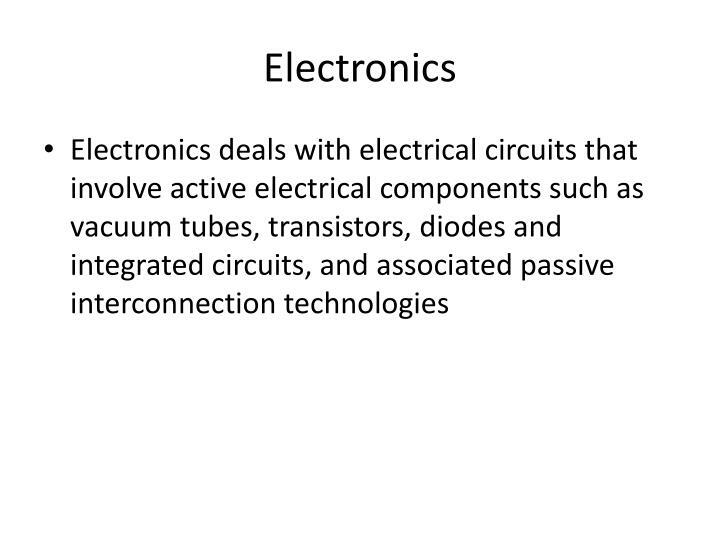 electronic systems?. 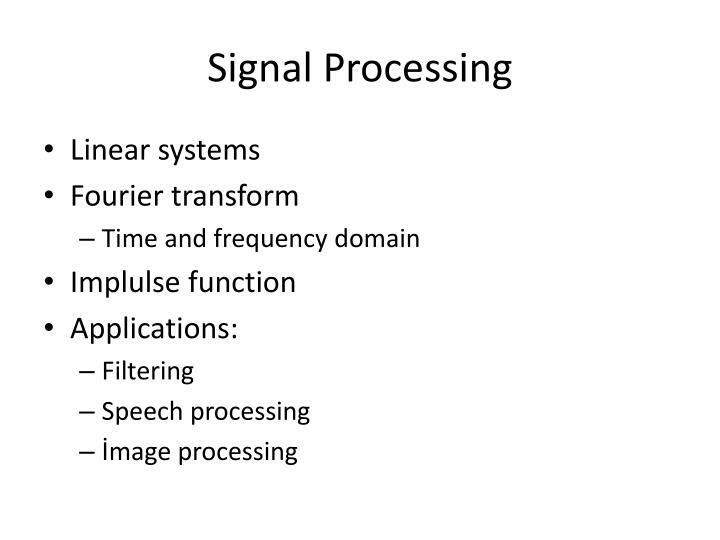 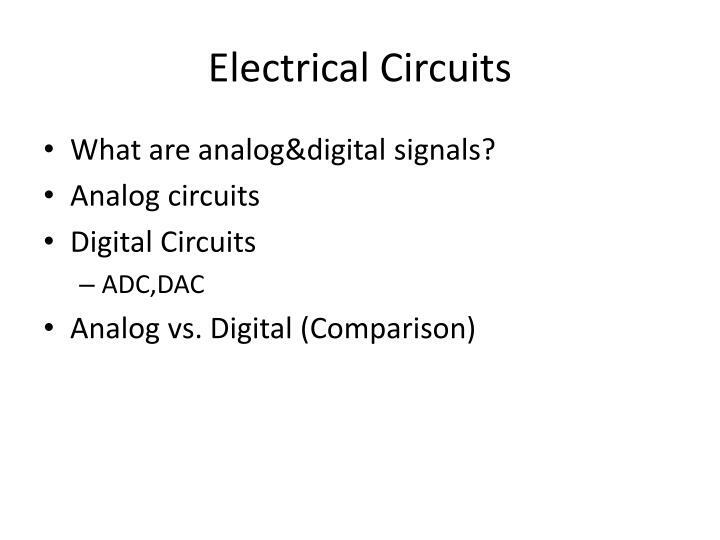 what is analog electronics?. 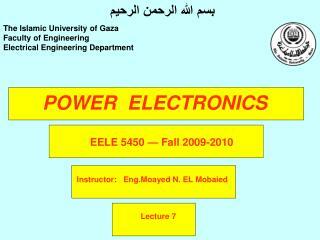 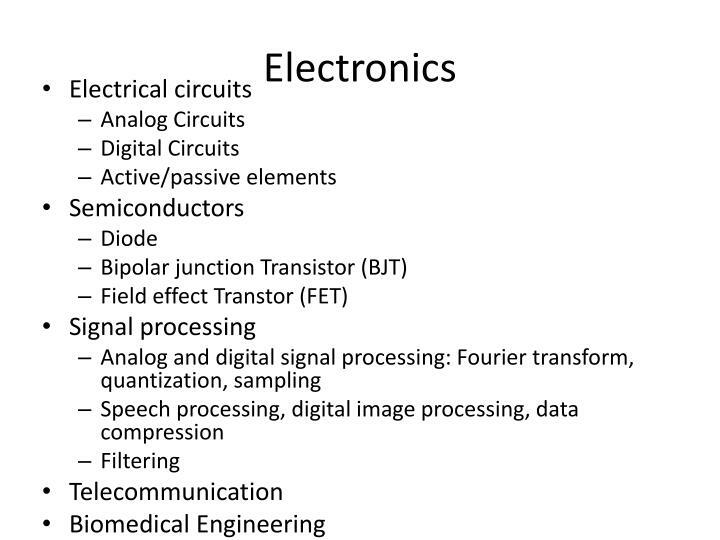 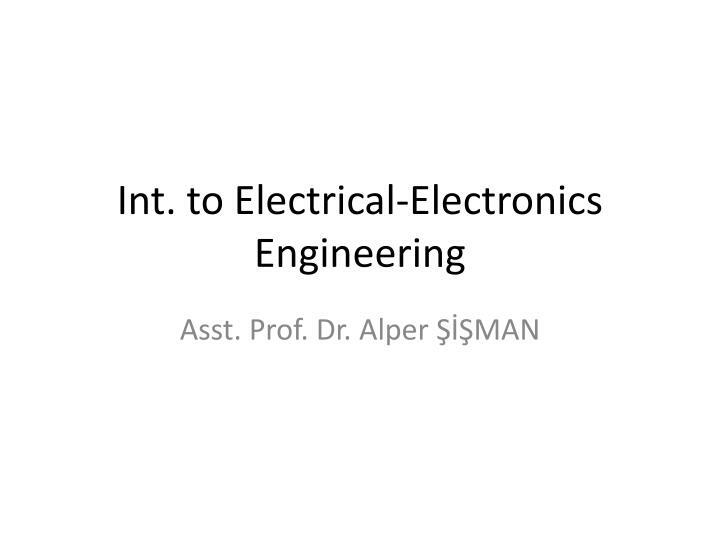 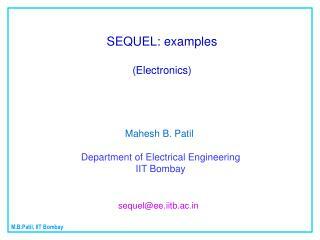 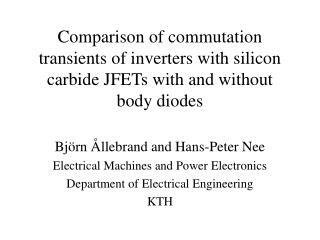 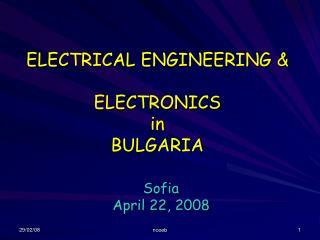 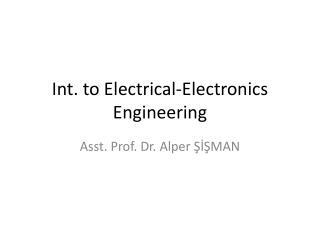 ECE 874: Physical Electronics -. 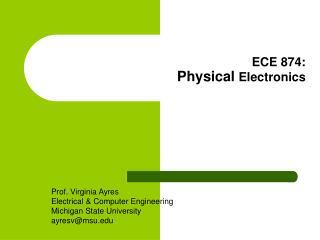 prof. virginia ayres electrical &amp; computer engineering michigan state university ayresv@msu.edu. 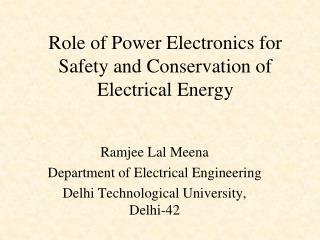 lecture 05, 13 sep 12. finish chp. 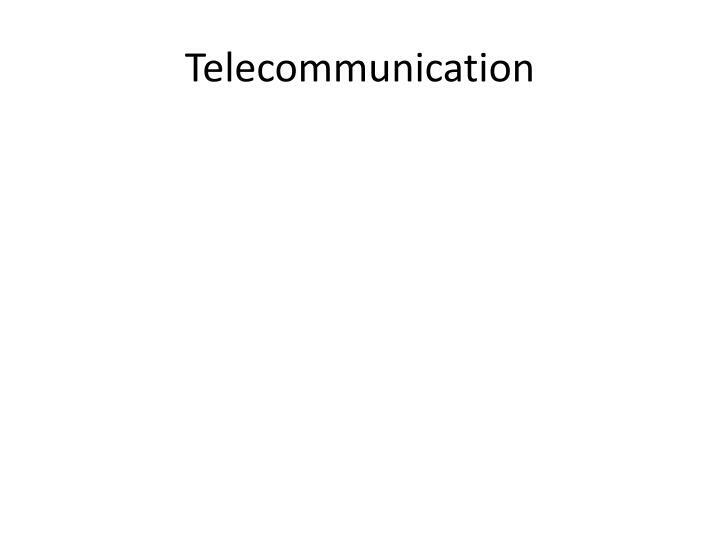 01 start chp.